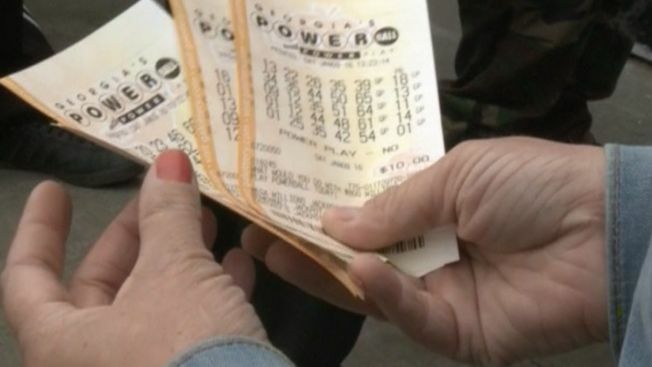 Lottery ticket buyers have to suspend their belief in math to drop $2 on an infinitesimal chance to win the Powerball jackpot, but in Nevada, they also have to drive across the desert and wait in lines that can stretch for hours. With the giant jackpot on his mind, retiree William Burke drove 45 minutes Monday from his home in Henderson, Nevada, to buy tickets in Nipton, California. Then he waited three hours to spend $20 on 10 tickets at a store that is among the nation's busiest lottery retailers.